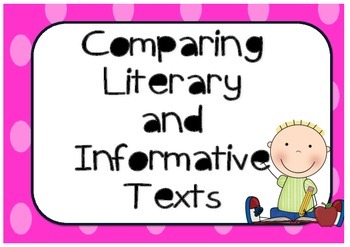 Comparing features of literary and information texts. This resource has a multitude of uses…. It is used when understanding the choices that are made/evident in different texts Literary and Information. 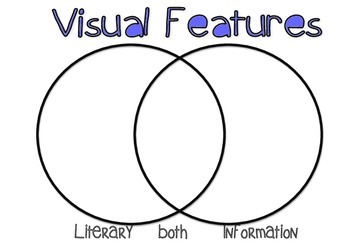 3 Venn Diagram Graphic organizers – to compare visual, language and structural features of any literary or information text. 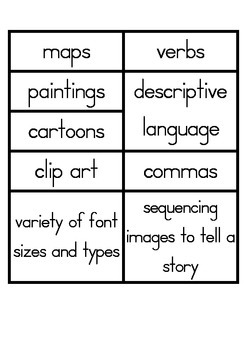 Can be made into A3 Charts and laminated or copy one for each child to write on. -	or choose the features evident within a specific text you are focusing on. 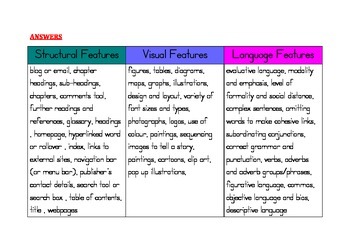 •	Literary, information, both – to sort all elements under the 2 text types. For younger grades you could use less of the elements/features to compare.